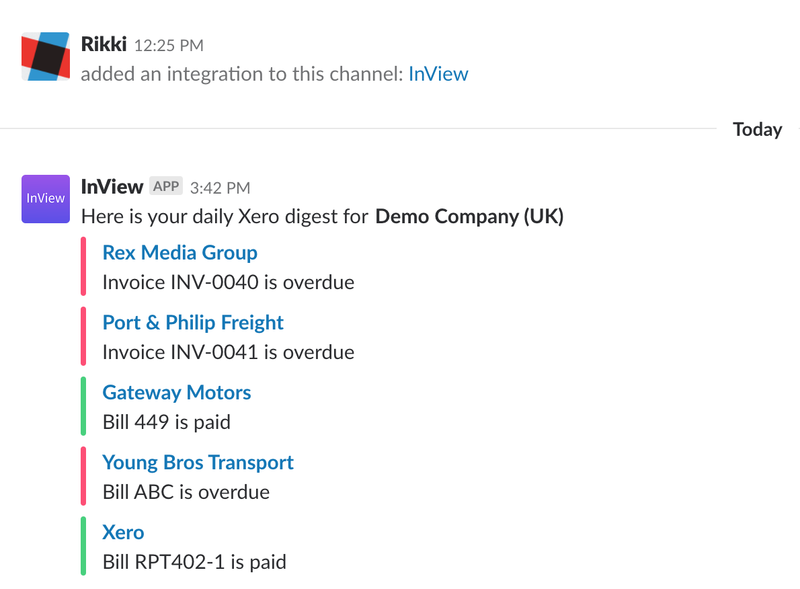 You can integrate InView with your Slack workspace to receive a digest of your invoices and bills that are due each day. After you have connected your accounting platform and added your first company, you can then enable our Slack integration as follows. Visit the company settings page then click on the Add to Slack button. You'll be redirected to Slack. Login to your workspace if prompted and then choose the channel you wish to receive your daily summary message. 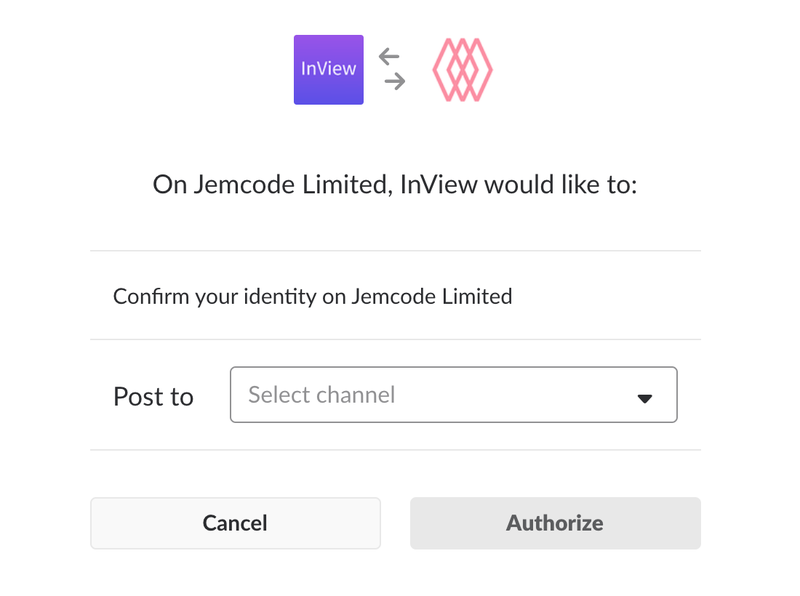 Once you have selected the correct channel, click "Authorize" to add the InView app. You will be redirected back to your InView organisations page. Slack will email you a confirmation and you'll see a notification in the channel you chose. Each day we'll check to see if you have any invoices or bills due and send you a digest. Digests are only be sent on days that have invoices or bills due.